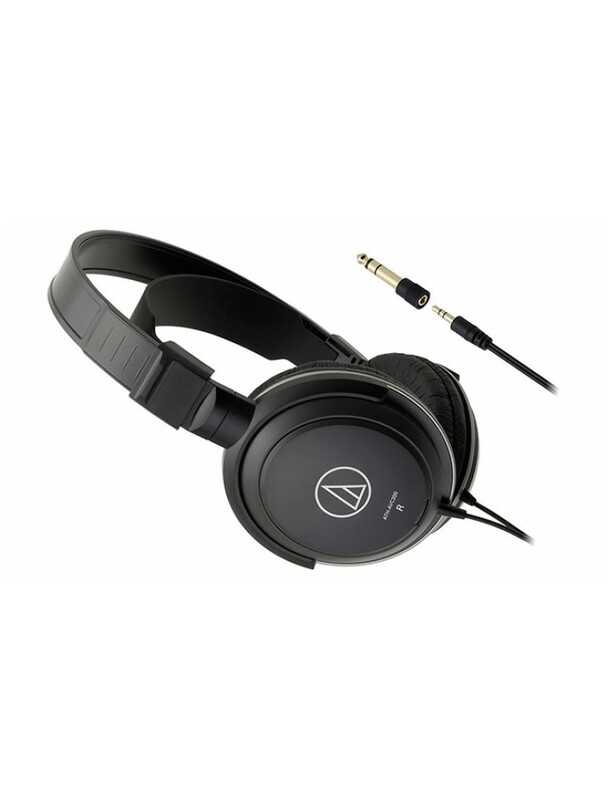 The ATH-AVC200 headphones plug into a variety of audio and video systems to give you full-bodied, theater-like sound in the comfort of your own home or on the go. Equipped with newly designed 40 mm drivers that reproduce clear mid and low frequencies and contoured, isolating earpads that retain every bit of the bass, the ATH-AVC200 headphones provide powerful, well-balanced audio to enhance your enjoyment of music and movies. The large headband is paired with an adjustable headband support to ensure a comfortable, secure fit, allowing you to wear the headphones for extended periods without fatigue. The 3.0 m (9.8') Y-type cable gives you plenty of room to stretch out, and with a 3.5 mm (⅛") gold-plated stereo mini-plug and 6.3 mm (¼") adapter you can plug the headphones into portable or home audio components.